GYROTONIC EXPANSION SYSTEM® was created by Juliu Horvath, Hungarian, born and raised in Romania. At the age of 19 Juliu Horvath began his involvement on the dance field and throughout his life he was part of several dance companies including the Romanian State Opera, New York City Opera, Houston Ballet and many others. However, an injury prevented his career from progressing, that was the reason that drove him to begin his studies in Yoga and other Oriental techniques. After years of study, Juliu had finally returned to New York in 1977, where he began teaching his Method and opened his first studio, White Cloud Studio ™. He currently travels around the world, publicizing the Gyrotonic® Method and certifying new instructors. The technique is being constantly updated, and that’s why each certified instructor must attend an annual update course or training either with the creator of the method or with one of his Master Trainers. Today, the Gyrotonic® Method is well known worldwide and is being widely used in rehabilitation centers, dance studios, gyms and sports training centers. There is no age restriction for its practice, however, it is mandatory that all work is accompanied by a duly certified instructor. In Brazil, the Gyrotonic® Method was introduced by Rita Renha, a first generation Master Trainer who worked for years alongside Juliu Hovarth. 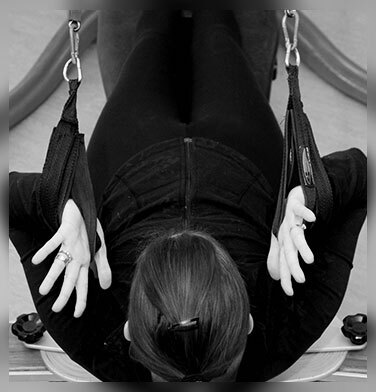 The Gyrotonic® equipment offers complete freedom of movement and has been developed in a way to provide a uniform and constant resistance, eliminating the impact on the joints during the movements and substantially preventing any injuries. 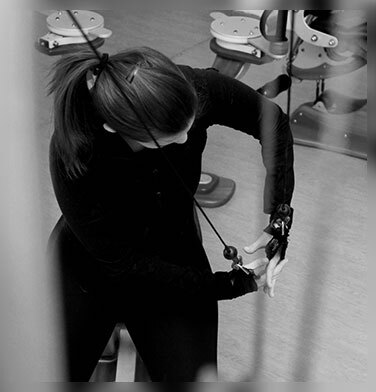 We offer classes at the Pulley Tower, as well as at the Leg Extension Unit. The exercises incorporate the principles of movement inspired by yoga, dance, gymnastics, swimming and tai-chi and work to lengthen and strengthen the muscles while simultaneously stimulating and lengthening connective tissues and around the joints of the body, having each exercise synchronized with the corresponding breath pattern. Circular, spiral, and wavy movements increase the functional capacity of the spine and all joints, work the fascial web and create a spherical and three-dimensional awareness of the body, resulting in a global body balance. The key word of this technique is ENERGY, and only those who adhere to this Method can really understand and define the feeling of well-being at the end of each session. Gyrokinesis® exercises were developed in the mid-1970s by Juliu Horvath and it consists the basis of all the methodology for his work to this day. In this class specifically we do not use any kind of equipment, besides a simple bench and a mat. During a Gyrokinesis® class the whole body is exercised through seven natural elements of mobility of the spine: flexion, extension, lateralization to right and left, rotation to both sides, and circular movements. As a result, we have a whole rhythmic work in the joints and muscles, stimulating together the internal organs, providing a great improvement in mobility globally, in the alignment of the spine, in the posture, in the coordination, thus, we will have a whole reeducation of the movements of our body.